﻿Rikki + Bean is up!! What is Rikki + Bean? Hello! 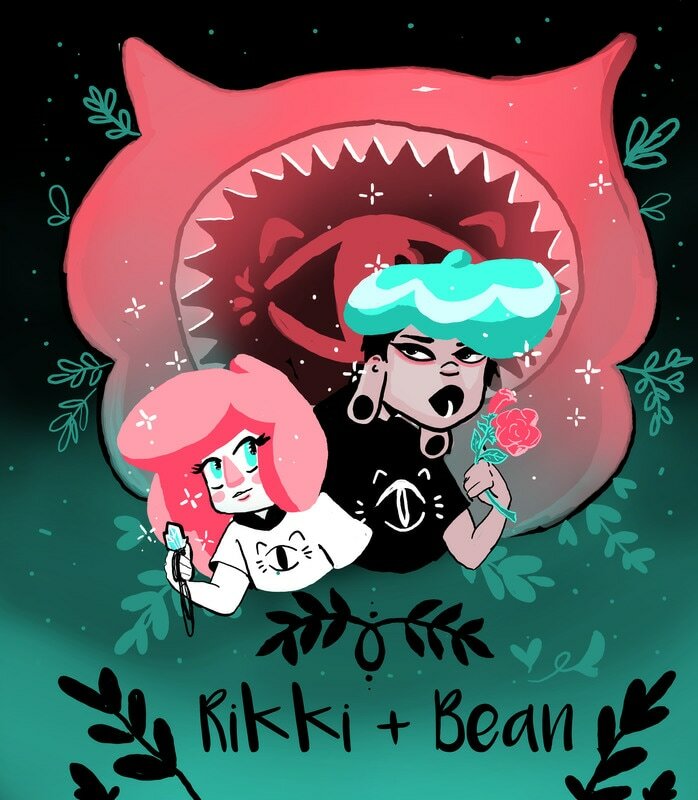 I'm excited to announce that I am soon to release my animated webcomic, Rikki + Bean! The story follows the day-to-day adventures of two young women who get a bit more than they bargained for when they accidentally enter a blood pact with a cat demon and must work as delivery girls in his cafe for the supernatural. The webcomic will be free to read online and features gif animated comic panels! Patreon subscribers have early access to the comic while it is a work in progress. If you're interested in following that progress more closely, and the other exclusive content I provide through patreon, click this link and check out my page! I like to draw magical girls, demons, and pastries; thus, rikki + bean was born.